PETALING JAYA: Ladies, it’s your time to shine in the spotlight! 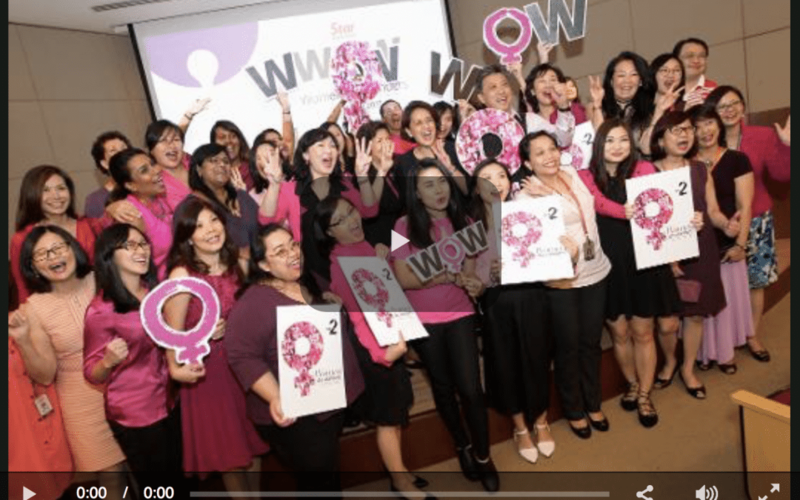 Throughout March, Star Media Group will highlight the many achievements and contributions of Malaysian women with the WOW – Women do Wonders campaign, held in conjunction with International Women’s Day. The campaign launch was officiated by Star Media Group managing director and chief executive officer Datuk Seri Wong Chun Wai, The Star editor-in-chief Datuk Leanne Goh and AirAsia Berhad CEO Aireen Omar at a ceremony held in Menara Star Tuesday. AirAsia is Star Media Group’s partner for the month-long celebration. In her welcome speech, Goh said that things in the media industry have changed significantly since the time she joined The Star in 1984 as a fresh graduate. Back then, it was mostly chain-smoking reporters and editors who populated the newsroom. “If you take a walk in the newsroom today, you’ll see that women dominate. There are 12 women editors and six male editors,” she said. The company’s health-conscious women later successfully campaigned for a smoke-free workplace via a signature campaign. “By having women in positions of power on the editorial floor, we have been able to reshape how women stories are treated, with more equality and less sexist overtones,” she added. Goh then praised Wong for being such a strong supporter of women and being the driving force behind the campaign. Women have a marked presence in The Star Media Group today, with six women heading 11 departments – such as Editorial and Digital Content – and 74 women holding managerial positions and upwards. Also present at the launch was Datin Linda Ngiam, who is the sole female board member of the Star Media Group. “She is working hard to increase that percentage from 15% to 30%!” said Goh. Ngiam, who was appointed as general manager (advertising and business development) in January 1999, is credited along with former group chief editor Datuk Ng Poh Tip for bringing The Star to new heights. “The two departments – which traditionally operated as two silos – joined forces to collaborate and it was an unbeatable combination. Their synergy contributed to the rise in circulation and revenue numbers,” Goh added. Guests at the launch were also treated to an energetic flash mob performance by the ‘SOL Sistars’ (Sing Out Loud Sistars), a group of 28 across The Star’s different departments, who sang and danced to a women-empowerment mashup of Helen Reddy’s I am Woman, Rachel Platten’s Fight Song and Destiny Child’s Independent Women. Readers can look forward to exciting giveaways all month, ranging from pampering sessions at the movies to fantastic gourmet getaways in Genting Highlands. But that’s not all: mark March 26 in your calendar for a WoW day out with us at SEGi University and Colleges at Kota Damansara, where inspiring Malaysian women take centrestage with talks and a women’s specialty bazaar. The Caring Moms WoW bazaar will feature hand-picked vendors showcasing an amazing selection of artisanal products, handcrafted keepsakes, bespoke gifts, nutritious homemade food and much more. There will also be an exciting showcase by Hong Kong veteran artiste Maria Cordero. To date, over 1,400 people have expressed interest in attending the event, which is set to be a fun time for the entire family. See tomorrow’s Star2 and Metro for more stories that celebrate women.